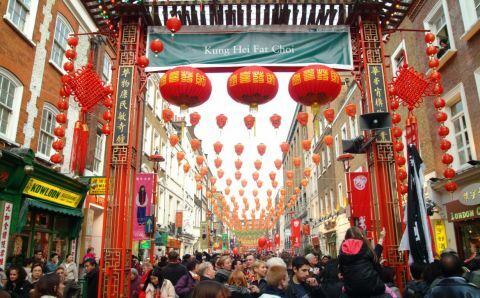 The UK could look forward to a rise in visitors from China in the coming week as China National Day and the Golden Week holiday begin. LONDON, 2017-Oct-03 — /Travel PR News/ — Golden Week is a prime time of travel for the Chinese and more are choosing to visit the UK than ever. “We want Britain to top the list as a must-go-now destination for Chinese travellers and to give them a world-class visitor experience. As well as making it easier to get here, with increased route development and airline seat capacity, we’re working with our partners to get great tactical deals in market and increasing the services that visitors experience. In August this year, Britain was about 12% more affordable for visitors from China than it was the same month in 2015. In November, VisitBritain will lead a large scale travel trade mission – Destination Britain China – to Guangzhou, in South China, bringing out 65 UK tourism companies to meet with China’s top travel agents. For every 22 visits from China to the UK, one job is created in Britain’s tourism industry*. *Based on 2013-2015 IPS data, Deloitte research for VisitBritain. This entry was posted in Tourism, Travel, Travel Management, Travel Marketing and tagged Sally Balcombe, VisitBritain, visits from China to the UK. Bookmark the permalink.